This week I was pawing through the photos I had already uploaded to Google from last July's "barn cleaning" during our epic Midwestern drought and thought it might be fun to publish them. 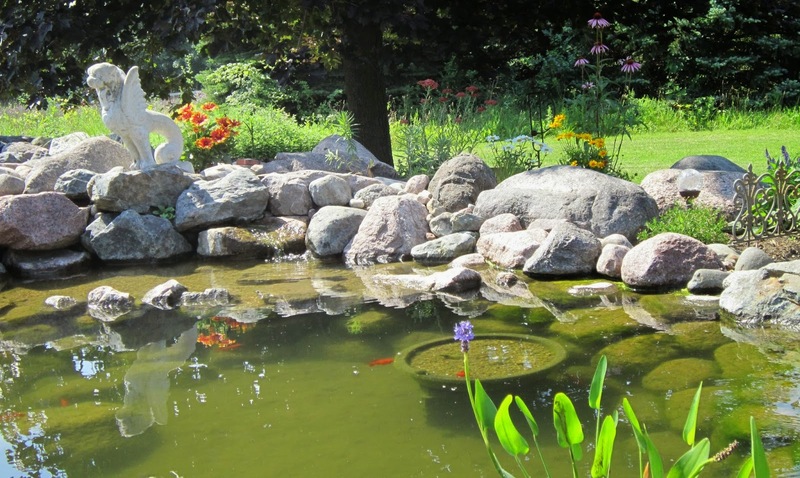 our pond is really looking great. I am amazed how things have progressed since may with relatively little work or effort on our part. 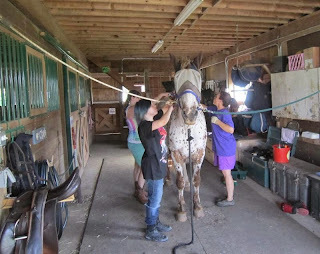 This July 4th, Clyde got the nod when it was time for the teen girls to ride. In the spring of 2002, we had purchased our first home in Des Plaines, IL and quickly discovered some problems with the yard. The first problem was that it was an overgrown mess that neither of us had any clue how to deal with. 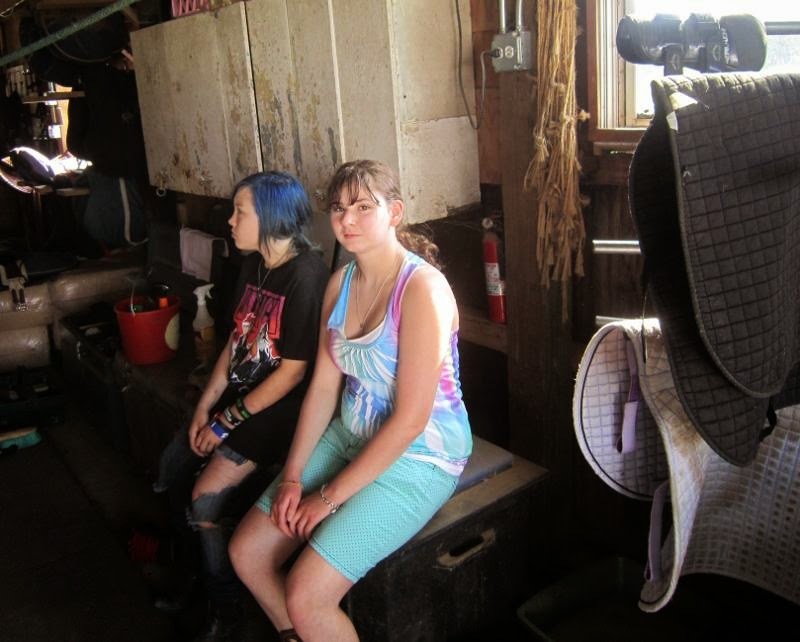 The second problem was that we had a sump outlet that was very busy, due to our close proximity to the Des Plaines River (approximately 300 yards) and thus our property was in a flood plain and "low". Because of storm water regulations with regard to the city sewers we were required to shut off the house's valve and piping system that had been set up in the 50's to send the sump water from our house into the city sewer. Once that was complete, we did what everyone else did, and just sumped the ground water from under our house out into the back yard. Soon it became obvious that we had an indentation in the middle of our back yard, as water started to collect there. Michael had optimistically built a fire pit in that very spot and I think we used it once or twice, but meanwhile we had some landscapers come in to clear out the jungle in the yard (old overgrown shrubs, half dead trees, etc.) and he had directed the sump pipe into the fire pit in order to keep the yard dry while the clearing work was ongoing. When the water started to pool in the fire pit we joked about it being a tiny pond and wasn't that a cute idea. The more we worked in the yard the more interested we got, finally deciding to type "backyard pond" into a search engine on the Internet and finding a whole new world we didn't even know existed. 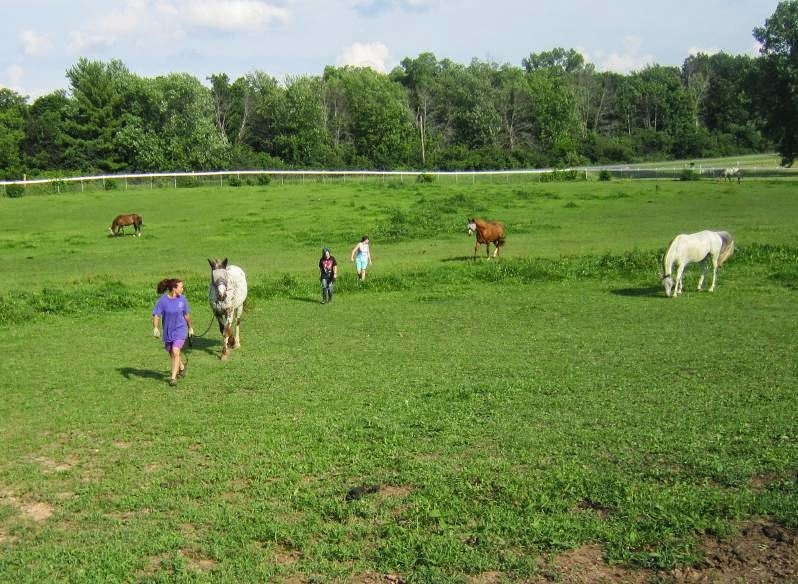 Our small acreage family horse property is affectionately known as "Prairie Corner Farm". We live across the street from a 270 acre forest preserve which has four miles of nice single track trail for horses. 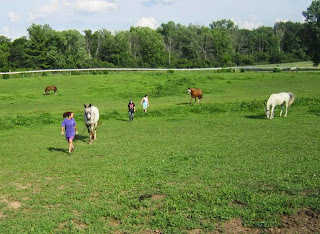 Our neighborhood is all 5-10 acre horse properties (or larger) for several miles in every direction. We are very fortunate to have a friendly relationship with our closest commercial barn owner neighbor, who allows us to use their indoor and outdoor arenas. 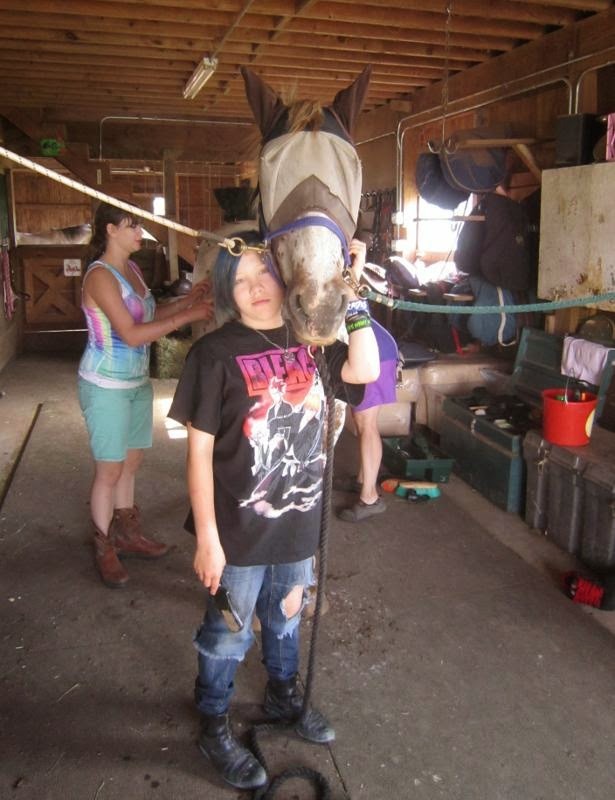 We are also members of our local saddle club, Fox Valley Saddle Association (Laura manages their web site and Facebook presence as well) which has a 60-acre facility with a much larger indoor arena, two outdoor arenas with footing and an outdoor cross country course, as well as an extensive set of stadium jumps for practicing and schooling.